Discussion is one of the most important parts of a lesson. This allows students to seek clarification and allows teachers to gauge understanding. How do you get students to engage in discussion? 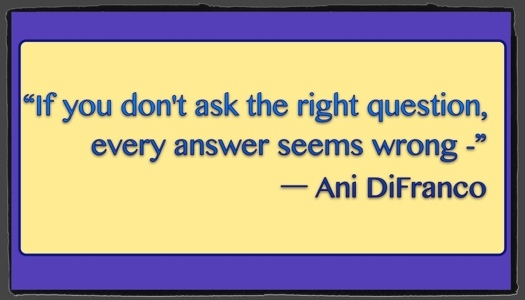 By asking questions…the right questions. In some classrooms, you will get an appropriate response. In the inclusion classroom, you often get blank stares. It gives students time to reflect on mistakes. It may help others who have made similar errors. It clears up further misunderstandings. It encourages metacognition (thinking about thinking). It allows students to verbalize and prove his or her understanding. It encourages a safe learning environment where it is ok to make mistakes. How do you encourage discussion? What kinds of questioning strategies do you use? How do you combat the blank stares and moments of silence? Thank you for visiting! Are you a teacher?